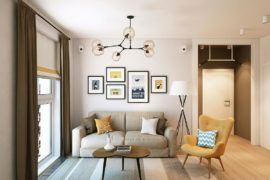 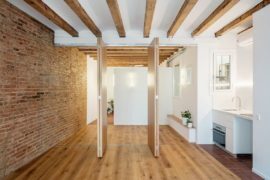 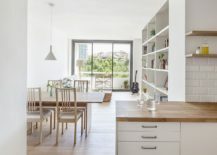 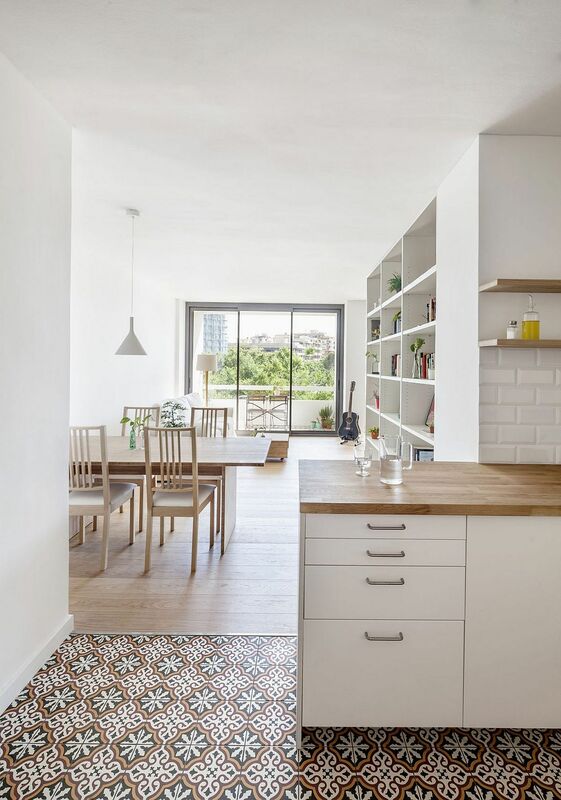 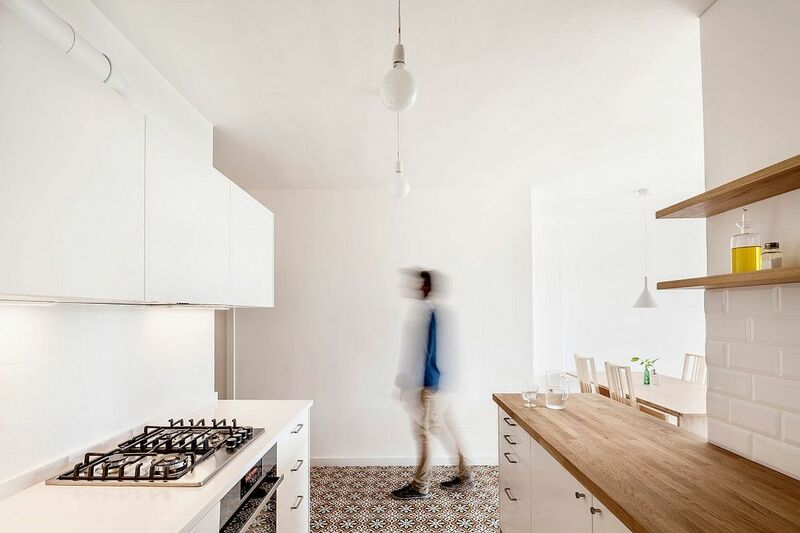 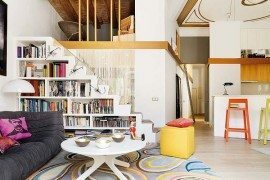 Cheerful, bright and practical, this refreshing modern apartment in Les Corts, Barcelona was renovated by Roman Izquierdo Bouldstridge to maximize the flow of light and available space. 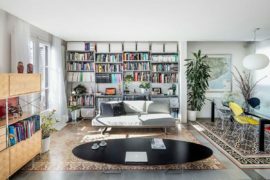 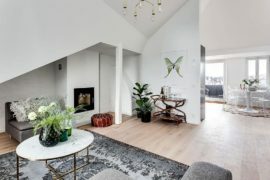 Nestled in a building that was originally built in the 60s, the apartment is just over 83 square meters, and the idea behind the revamped floor plan was to make the most of every inch on offer. 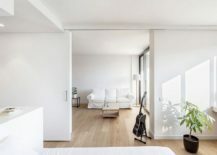 This was done by doing away with unnecessary internal partitions and using a sliding glass door to separate the bedroom from the living and dining area. 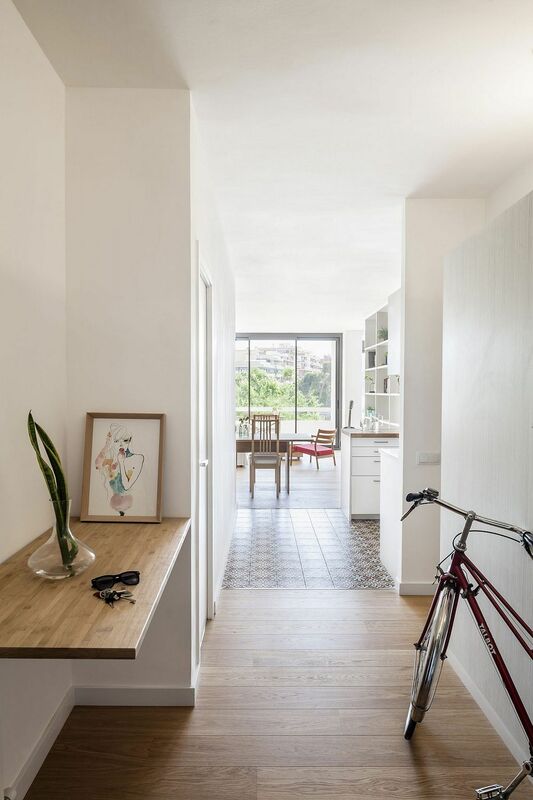 A small entry leads into the open living space that flows into the dining room and adjacent kitchen. 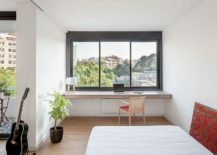 With a closet-bedroom-studio space on one side and an additional bedroom on the other, the light-filled Spanish apartment offers plenty despite its modest size. 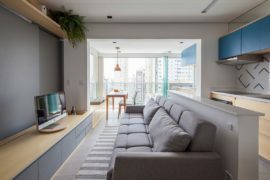 Two large glazed windows and sliding glass doors between the small balcony and living area fill the interior with plenty of sunlight and ensure that the new, white apartment does not seem dull like its predecessor. 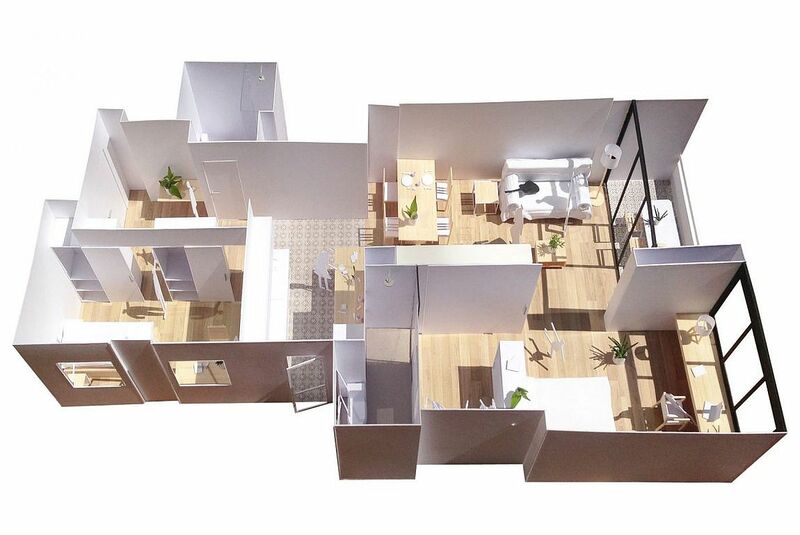 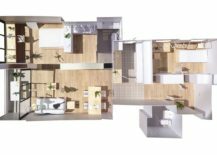 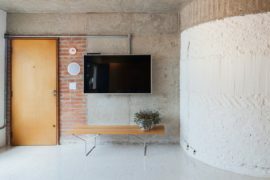 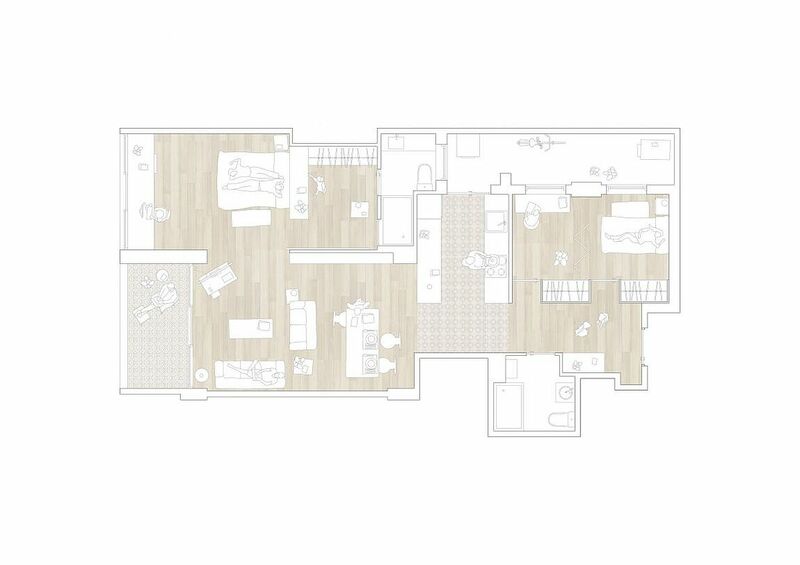 The use of white throughout the apartment also cuts down on visual fragmentation and gives the architects more design freedom when planning for individual spaces. 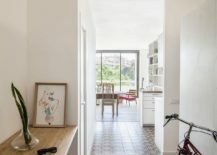 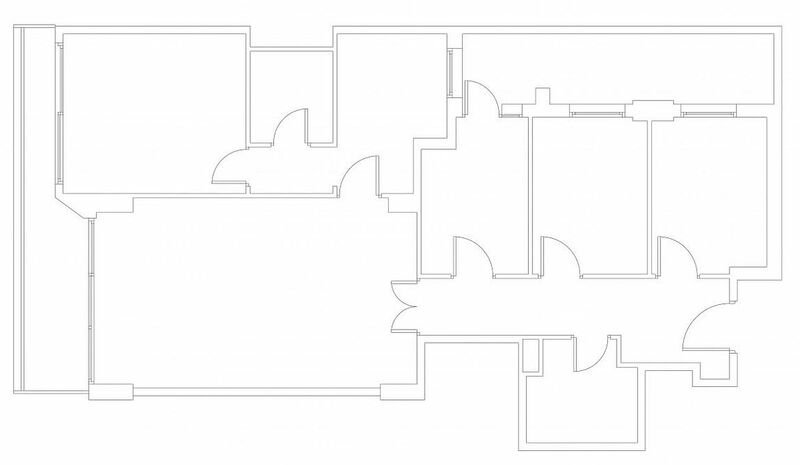 A game of visual diagonals is created by the opening of a large sliding door, providing a fluent spatial relation in-between the different areas of the apartment while giving a wider perception of space. 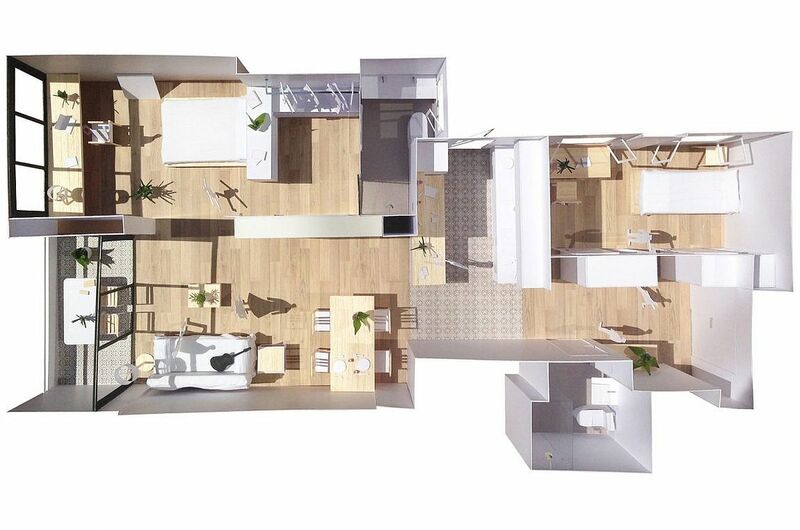 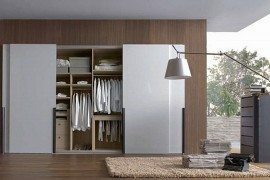 Closet-bedroom-studio area is connected with dining-living-terrace area in a unique environment where daily life activities take place in a natural way.